Great Britain's Charlotte Kerwood won today's Trap Women Gold medal at the 2013 ISSF Shotgun World Cup Final, held at the Al Forsan International Sport Resort in Abu Dhabi (UAE). Kerwood secured the title by outdoing Germany's Jana Beckmann in the Gold medal match 11 to 10 hits, after leading the Semi-Final with 14 hits out of 15 targets, and after qualifying with 68 hits out 75 targets. “This is probably the best moment of my career.” Kerwood said. 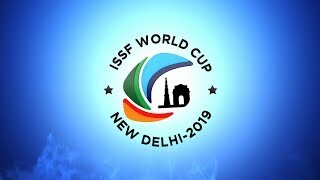 Kerwood had never made it to the final phases of an ISSF World Cup Final, before. She had qualified to participate in 2006 and 2007, eventually finishing in 8th and 11th place. 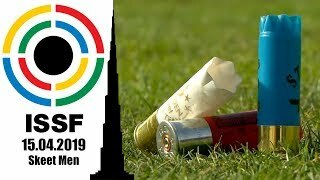 The Bronze medallist of the 2013 ISSF World Cup Final, Jana Beckmann of Germany, placed in second with 10 hits in the Gold medal match, after shattering 14 targets in the semi-final and 70 clays during the qualifications. 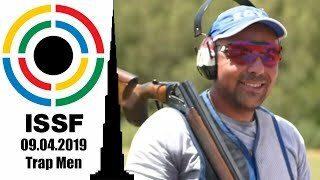 She was followed on the podium by the winner of this year's ISSF World Cup Stage in Granada, Zuzana Stefecekova of Slovakia, who beat the 2008 Olympic Champ Satu Makela-Nummela of Finland in the Bronze medal match by 11 to 9 hits. The reigning Olympic and World Champion, Italy's Jessica Rossi, placed in fifth with 10 hits in the semi-final, after qualifying with 72 hits. Spotlights are on the new World Cup Champion Kerwood, today. 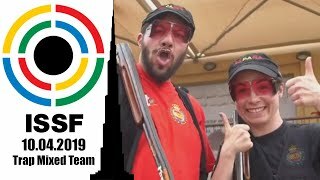 The 27-year old shooter ended on the highest step of an ISSF podium for the first time, here in Abu Dhabi, after shooting for 15 years and participating in 23 ISSF World Cup Stages. “I started shooting when I was 12-year old, at my parents' shooting ground, and my best sport memory is probably... today!” Kerwood said, with a smile on her face. “Shooting is a great part of my life. I get to travel around the world, and meet great people, but I was missing such a result.” Charlotte added. “The 2012 Olympics have been a great experience, even if I am obviously disappointed with how I have done.” Kerwood said. Shooting in front of her home crowd in London, she had indeed placed in 16th. 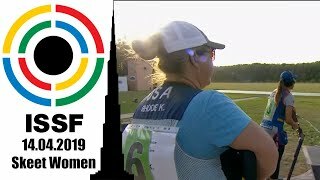 But the 2013 season turned in the best way for Kerwood as she qualified to compete in the World Cup Final by placing in 5th at the 2013 ISSF World Cup Stage in Al Ain, at the beginning of the season. A chance that Charlotte did not miss, in spite of the difficulties. “I started off really bad this morning, with a 20 on my first round, and it has been hard to keep on going. But I zeroed in and I tried to come back.” Kerwood said.